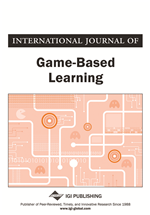 This article presents the preliminary findings of GamiLearning (2015-2018), a research project that aims to promote critical and participative dimensions of Media and Information Literacy (MIL) in children through the creation of digital games. The project presents an innovative approach by arguing that MIL can be promoted through the process of creation and development of videogames. Students ages 9 to 14 years old from Portugal and Austin, Texas (USA) participated in the study. which included an intervention at school, was based on a constructivist/project-based approach. Fieldwork was conducted at four schools and a MIL questionnaire was used, based in a theoretical framework, and were administered before and after the project's intervention. Results from the four schools indicate statistically significant differences between pre and post questionnaires, considering MIL skills in general, and in several groups of skills, namely Operational Skills, Editorial Skills, Digital Identity Management Skills, Critical Media Literacy, Learning and Social Interaction. The way we communicate and make meaning in a mediatised world demands a bundle of literacies, often referred to as media literacy, information literacy, visual literacy, multimodal literacy, computer literacy/ICT literacy, media and information literacy (Drotner & Erstad, 2014; Gutiérrez-Martín & Tyner 2012). Regardless of definitions and approaches, these multiple literacies open critical discussions about the changing relationship of literacy and learning. There is a generalized consensus that “promoting and enhancing media literacy, for child and adult populations, is of growing importance, in a context of digital media convergence and a highly complex media and information ecology” (Livingstone, Bulguer, & Zaborowski, 2013). Frau-Meigs (2014) states that core MIL skills include operational skills (including coding and computing), editorial skills (including multimedia writing-reading-producing and mixing) and organisational skills (including navigating, sorting, filtering, evaluating) are central to media education in a digital age. Beyond its importance as an individual skill, media literacy opens social and cultural dialogue that emphasizes its plurality. People don’t create meanings individually, but as members of “interpretive communities” (Livingstone, Wijnen, Papaioannou, Costa, & Grandio, 2013) where literacy practices evolve. The developments during the last three decades within the fields of both media and education studies have encountered controversy, yet “point toward a common ground of shared interests around people, practices, and processes in using digital media in different contexts and for different purposes” (Drotner & Erstad, 2014). One of the main controversies in media studies and education studies can be found in the discourse about the impact of digital media on audiences and learners as it relates to a dichotomy of risks and affordances. These can be seen in dialogue related to risks and moral panics versus celebratory visions of technology as the catalyst of social change (Drotner & Erstad, 2014). Games, particularly video games, have long been associated with these controversies and seem to have a common ground with perspectives for media studies and education studies with a focus on their social uses by users/audiences/learners. As a result, a common assumption is that learning experiences occur in diverse learning environments, whether they are designed as formal, informal, physical, or virtual educational spaces (Drotner & Erstad, 2014). Video games, particularly the multiplayer games, involve collaboration, competition, sharing, searching for information on chat rooms and web sites (Gee, 2008) and these practices enable the development of communities of learning. In addition, research that investigates the cognitive learning potential of game play, game analysis and game design increasingly demonstrate the ways that games can support other literacies (Buckingham & Burn, 2007) and creativity (Caperton & Sullivan, 2009). A growing body of evidence supports the integration of game analysis and production across the curriculum (Freitas & Ott, 2013) and, as a pathway to enhance and support students’ contemporary media literacy skills and knowledge. Games can be integrated in teaching in several ways, such as using commercial titles, developing games with specific learning goals (serious games) or leading the students to create their own games (Van Eck, 2006). If the latter has traditionally been practiced as a way of teaching programming and problem-solving skills (Ibid. ), it also has been used “to teach about games as a cultural medium in their own right, just as we teach about film or television or literature” (Buckingham & Burn, 2007). In addition to these approaches, game play and creation can be used as a reflexive tool that children can use for establishing and developing their own critical understanding of media. First, some have noted that critical media literacy requires the development of reflexive knowledge: a child needs to know a topic to be able to produce a related game. Secondly, in the process of game creation, children engage in collaboration and peer-learning, which has been shown to support critical literacy and learning across the curriculum (Salen & Zimmerman, 2004; Torres, 2009). Third, game design and content creation also provide children with opportunities to integrate and reflect on their everyday media experience. While most researchers agree that games can support learning, they also agree that more empirical research evidence is needed to support the integration of “good games” in learning environments (Landers, 2014). The problem is that defining the quality of game models and design activities in the classroom requires a balance between the role of pedagogical design and the engagement factor in game design that include game mechanics, interactivity, engaging narratives, immersion and fidelity (Freitas & Oliver, 2006).